Well, wouldn’t you know it? 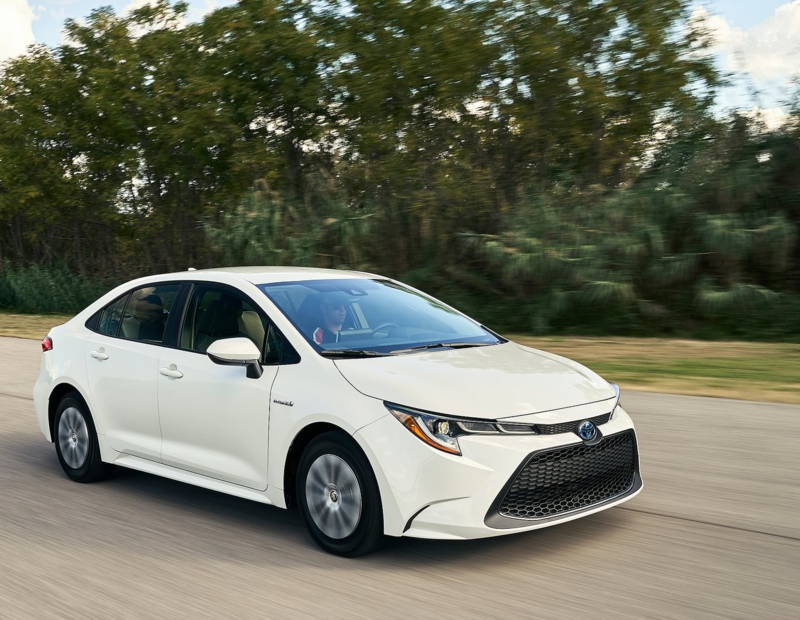 One of Canada’s most fuel-efficient compact sedans gets even more efficient with the brand-new 2020 Toyota Corolla Hybrid. Introduced back in November, the all-new Corolla Hybrid is slated to be the only hybrid model in its immediate segment. Featuring advanced safety technology, a wide range of new design features inside and out, and one of the most fuel-efficient engines you can get on the market today, the Corolla Hybrid will shake things up when it arrives on the market this spring. With a fuel economy rating that will be less than 5.0 litres per 100 kilometres, the 2020 Toyota Corolla Hybrid will be one of the most fuel-efficient vehicles you can buy in the compact sedan class. It will use the new-generation Hybrid Synergy Drive from Toyota, a compact system which doesn’t impact cargo space, for example. The all-new 2020 Corolla Hybrid will also pack Toyota’s latest Entune 3.0 multimedia system with Apple CarPlay and Toyota’s advanced Toyota Safety Sense 2.0 system. PCS (Pre-Collision System): It is designed to automatically activate the brakes to help avoid a collision or mitigate the impact force. PCS is able to detect a vehicle or pedestrian in the day and in low-light conditions, as well as a bicycle during daylight. LTA (Lane Tracing Assist): LTA is enabled when LDA and DRCC are both on and active. LTA employs a lane centring function that will make constant steering inputs to help the driver keep the vehicle in its lane. LTA is designed for uses on relatively straight highways to pre-emptively avoid unwanted lane departures and reduce driver fatigue. 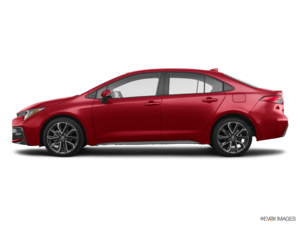 The 2020 Toyota Corolla Hybrid also includes three driving modes that allow the driver to change how the car behaves. Contact us today to learn more about the new Corolla Hybrid.